SHROUDED IN MISTS sitting under the hot sun of the equator is a mountain range believed to be the mysterious “Mountains of the Moon” spoken of by the ancient Greeks. Their discovery is actually credited to Henry Morton Stanley of Britain, who in 1888, while on expedition, glanced up one day and saw what the native porters at the time believed to be a mountain covered in salt. The Ruwenzori Mountains are located on the border of UGANDA and the Democratic Republic of CONGO. Sitting between lakes Albert and Edward, they are the highest mountain range in Africa. 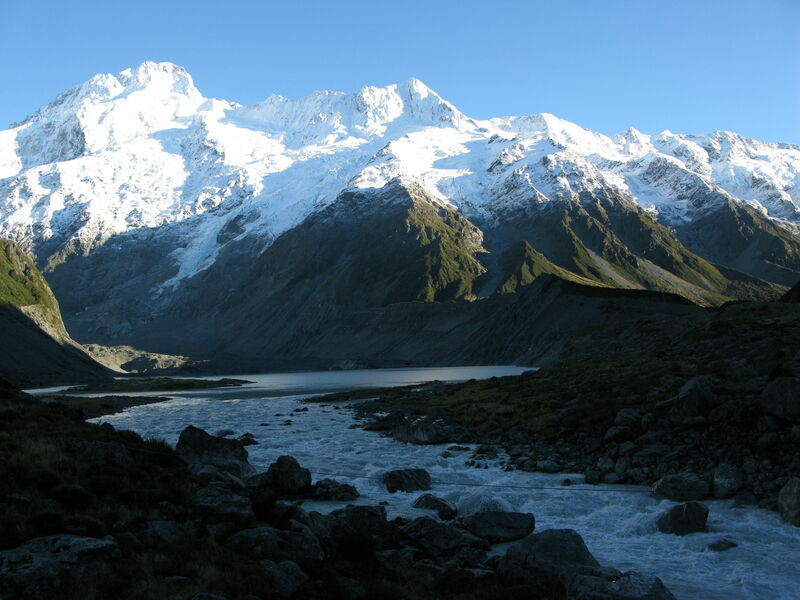 Ten of the Ruwenzori summits are over 15,750 ft (4,800 m); the highest are Mt. Margherita, at 16,763 ft (5,109 m), and Mt. Alexandra, at 16,750 ft (5,105 m). These mountains are a fault-block range composed of ancient crystalline rock. The Kilembe copper mine is located in the eastern foothills of the Ruwenzoris in Uganda. The vegetation of this area is profuse and prolific because of the ever-pervading cloud cover, which harbors drenching mists and rain. This Afro-alpine foliage is some of the most highly studied botany on the continent of Africa because of its varying species and vegetation belts as one climbs higher up the peaks. Many of these mountains, called “the Alps of Africa,” contain high mountain glacial lakes, and several have glaciers at their peaks. These glaciers have recently been the center of several studies because of their rapid rate of decline and concerns over the loss of snow on the mountain peaks. These studies have shown that some of the glaciers have receded over 1,000 ft (300 m) in the past decade alone. They also forecasted that at the present rate of global warming, all of the glaciers of the Ruwenzoris could be melted completely by 2025. These mountains were formed in the western region of the Great Rift Valley between 40 and 10 million years ago, when the crust of the east African plateau started on a faulting process. This has taken place very slowly, only millimeters a year, to form these snow-capped equatorial mountains. Ruwenzori, unlike other surrounding areas, is nonvolcanic. These mountains are tilt-block, with steep faces on the western rift and gentler slopes running east. When these mountains tilted up out of the plains of Africa, they carried with them the metamorphosed volcanic rock with which they were formed.